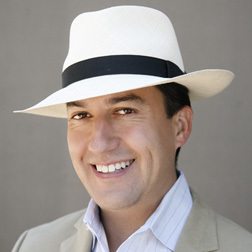 Fino Fino specializes in hand-blocked Montecristi Panama hats and has a broader selection than most other sources. 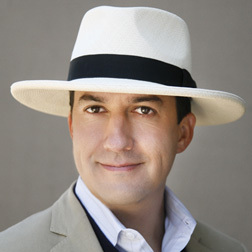 The Montecristi finois simply the finest straw hat in the world. Hand-woven in Ecuador by master weavers, they are wearable works of art that can be handed down to your grandchildren. Each hat is unique and represents months of work. The hat is woven on a wooden block supported by a tripod, over which the weaver works standing up with their chest bearing down on the block to weave the brim. They often work in the cool of the night so that perspiration does not soil the hat. Visible when held to the light, a series of concentric rings in the crown, called vueltas, are created as new strands of straw are added. The larger the number of vueltas, the tighter the weave and the finer the hat. The number of master weavers is drastically dwindling as the younger weavers are uninterested in the back-breaking work required to create a fino or fino fino since they can create coarsely woven hats and souvenir items in a matter of hours. Montecristi is a small town in Ecuador where the Carloduvica Palmata, or "Toquilla" palm, as it is called by the Ecuadorians, is cut when the fronds are immature. Then they are peeled, boiled, dried, and the fronds are separated into the size strand the weaver chooses. This palm has been found in other South and Central American countries, but the conditions which produce the finest fronds are found only in the coastal lowlands of Ecuador. The hat "bodies" are graded according to fineness of the weave, color of the straw, uniformity of the weave from crown to brim, and the quality of the backwoven edge (fine Panamas are never turned over and stitched). The hand-blocking and finishing of our hats is done in this country by a very few who are skilled in this art. A truly fine Panama is never machine blocked or glued and varnished to a helmet-like finish. Hand-blocked Montecristis begin at $450 and range into the thousands of dollars. 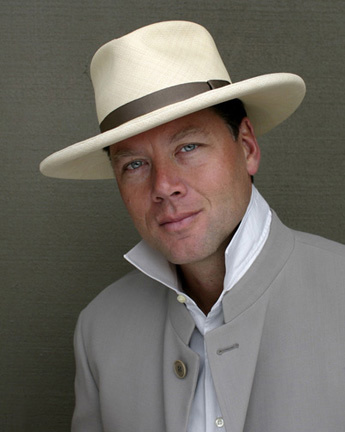 WHY IS IT CALLED A PANAMA HAT? 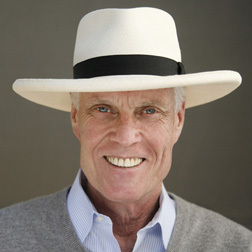 The most widely accepted explanation of why this Ecuadorian hat is known as the "Panama" hat, is that Panama was the point of export, where workers on the Panama Canal found them to be durable headwear and comfortable under the tropical sun. When President Teddy Roosevelt visited during the construction of the canal, he returned to the United States wearing one of these hats; the press dubbed it the "Panama Hat," and it has been known as that ever since. 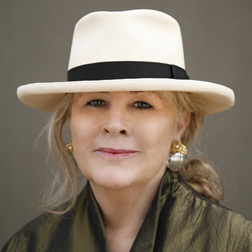 A fine Panama hat can last generations with proper care. It is a very durable hat, but not indestructible. 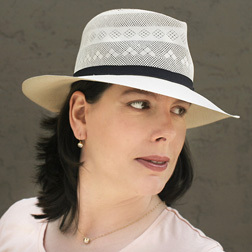 Handle your hat with BOTH hands by the brim--especially the pinch-front styles. 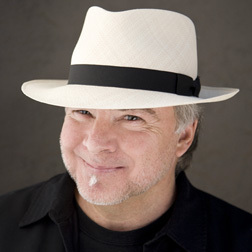 Handling your hat by the "pinch" will set in sharp creases that will eventually lead to a break. A break in the crown can generally be patched from underneath but it cannot be rewoven. So avoid sharp creases and keep it away from your puppy. In spite of the lore you may have heard about rolling your hat for traveling, once it has been blocked and finished you will have to wear it or carry a hat box when you travel. Actually the only style that ever rolled well is the Optimo style but it, too, will break along the fold if it is rolled often. When you remove your hat, lay it on a flat surface, upside down on the crown for a hat with a shaped brim or right side up flat on the brim for a styles like the Planter. If you hang it on a peg or hat rack be sure it rests on the leather sweatband and not on the straw. Brush it with a soft brush to keep the dust off. If you let it lay around gathering dust and then go out and get a little moisture on it it will soon be looking dingy. Wipe any spots with a damp natural sponge or soft cloth. If plain water doesn't remove the spot, use a small amount of mild detergent in the water and wipe it just with the suds. Do not get the leather sweatband wet. A leather is important to keep perspiration and body oil from wicking into the straw and staining it. Heavy perspiration can shrink the leather over time and require having the leather replaced. That is easily done, so don't give it away if it has gotten too tight for you. Do not leave your hat, especially if it is damp, in a closed hot car. This is a sure way to shrink the leather and dry out the straw. If your climate or your house is especially dry, you can keep the straw supple by periodically hanging your hat in the bathroom while you shower. If you won't be wearing your hat for awhile, the best place for it is in the hat box that came with it.